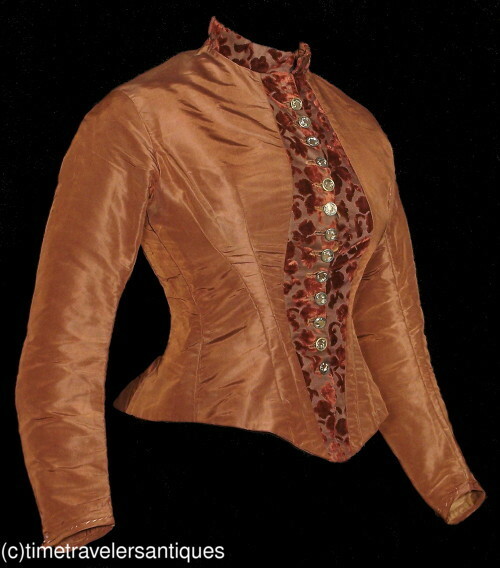 Offered for study, an original circa 1880's lady's bronze colored silk taffeta bodice with cut silk velvet floral trim, 13 matching period buttons, lined in silk, with a split swallow tail. 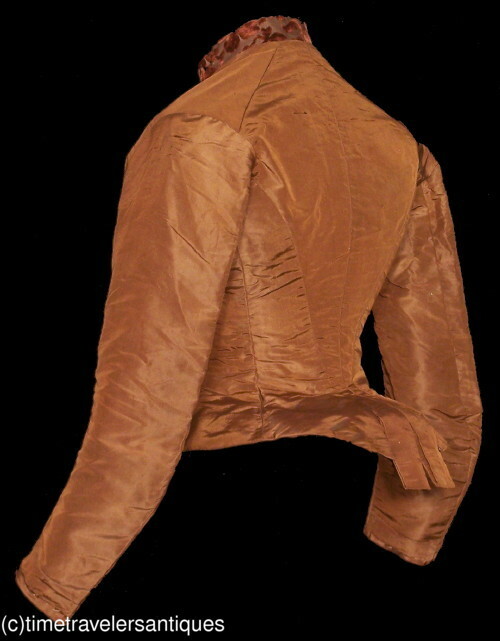 A 34" bust, 28" waist, and 18" from shoulder to front hem. 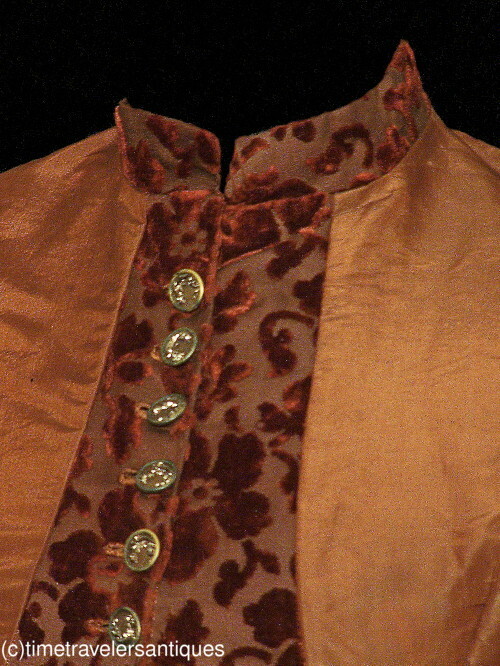 In clean as found condition, offered for study, with some surface stress splits at the back and sleeves, some perspiration to the lining, some stress at the buttonholes, and evidence of trim having been at the cuffs. 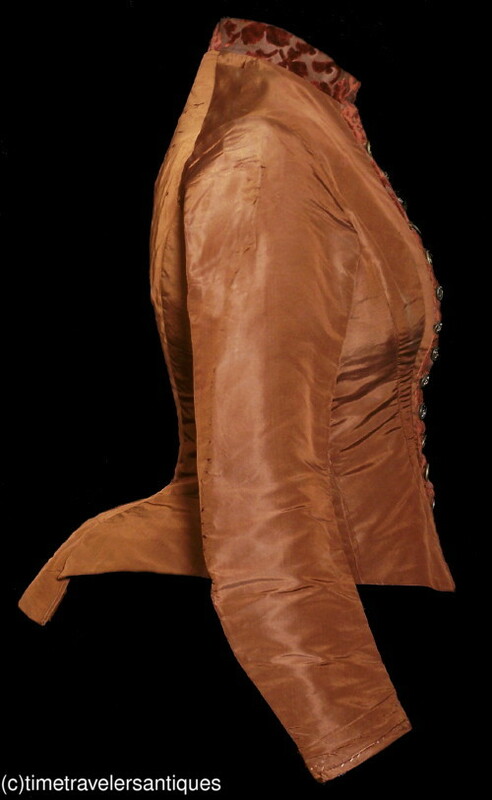 All is reflected in the reserve price for this original Victorian era bodice. Wouldn't this be perfect for Thanksgiving?